Vietnam proved to be a picturesque country that was best enjoyed from the train, which hugged the coast line and passed through vibrant rice fields and beautiful rolling hills. 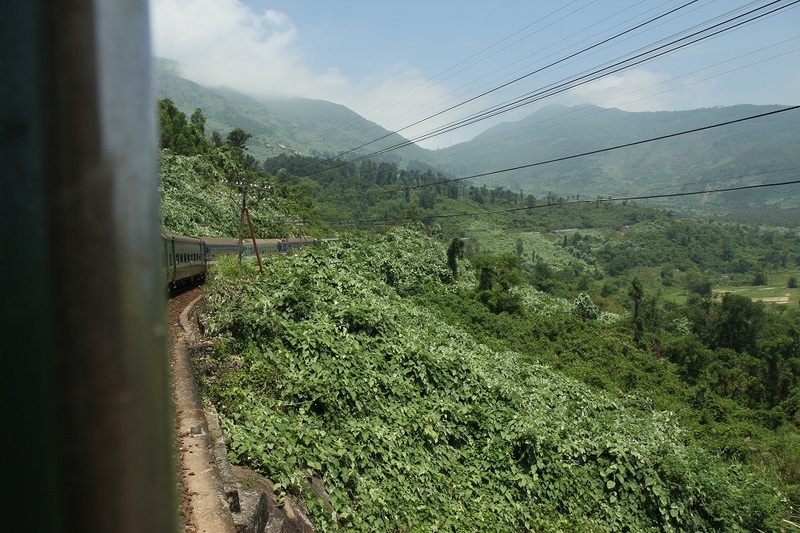 One afternoon we took a three-hour trip in the 3rd class coach, which had wooden benches for seats. 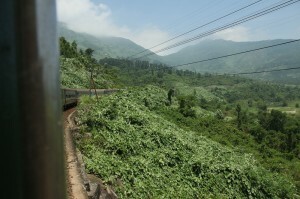 Most of the travelers on this particular train were traveling all the way from Ho Chi Minh City to Hanoi – a 30-hour plus journey. The benches were suitable for a few hours of sitting, but we could not imagine having to spend over a day on those seats. Most families brought along a reed mat that they placed on the floor beneath the benches and slept on. A woman in her late sixties curled up beneath me. Every once in a while we spotted a hammock and wondered how in the world they had set it up on the train. 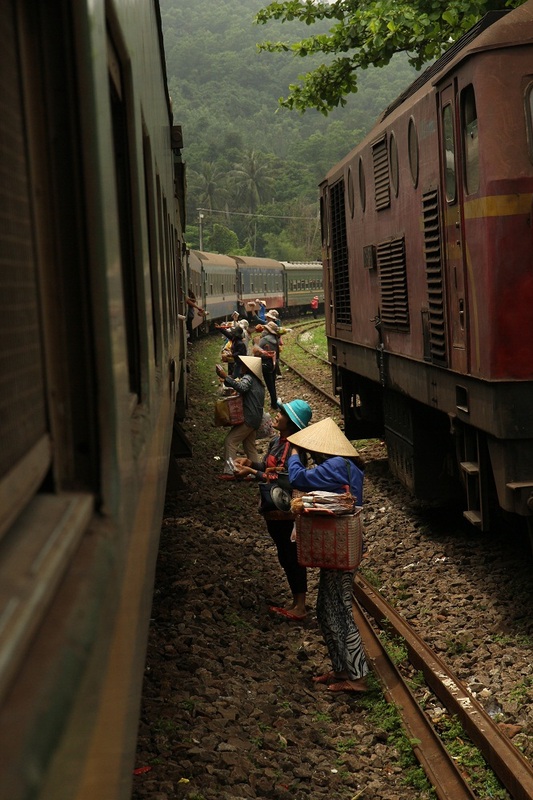 This short journey (for us) was the most intimate travel experience we’d had in Vietnam and we left with a new appreciation for the elderly’s toughness and youthful spirits. It was time for another overnight of travel and we were excited to discover the fanciest sleeper car we’d ever had the pleasure of riding on! 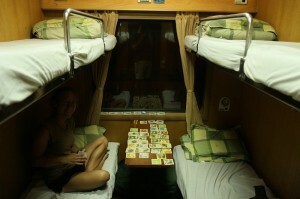 In India, each “room” had eight sleeper bunks without a privacy curtain, making it pretty cozy and exceptionally loud. You traveled with your own blanket, or in our case, sleeping bag. The “chai man” would start his rounds as early as 4:30 am, while many of us were still sound asleep. You would be awakened by this horrendous “Chai, Chai, Chai” call, going up and down the aisle, about every 15 minutes. 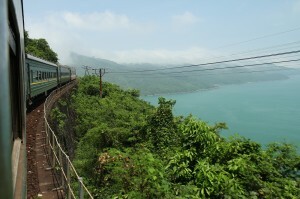 In Thailand there were no rooms, the train was just lined on both sides with upper and lower bunks. There were curtains, pillows and bedsheets, no vendors, and the noise level was more manageable. 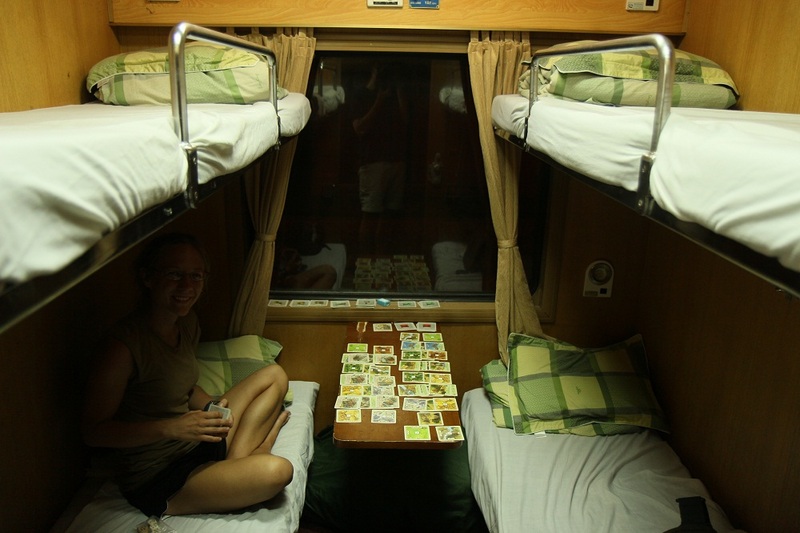 In Vietnam, our sleeper train was an actual room with a door, with two sets of bunk beds. There was air conditioning and light switches! The other two bunks never filled up so we had the whole place to ourselves. Written by: kate on April 7, 2012.on April 10, 2012.